Quem me enviou o artigo foi o amigo Alexandre A. Rocha, sempre com suas excelentes contribuições a nosso site. O autor é Carlos Pio, brilhante professor que traz orgulho à Universidade de Brasília. Concordo plenamente com sua percepção e gostei muito da conclusão. Parabéns pela lucidez, Pio! Carlos Pio is a professor of international political economy at the Universidade de Brasilia and at the Australian National University in Canberra. Even if we take into account today’s highly interdependent economic structure, in order to have a profound impact on global levels of growth, a country must be a top importer and/or exporter of goods, services, capital or labor. There is no doubt that the United States, China, Germany and Japan are global players in such terms. Russia and a handful of oil exporters can also be included in this club if one accepts the key role of energy. India, for the potential size of its internal consumption market is relevant. But Brazil, the B in BRIC, is not. Maybe we just focus on the RIC countries. While we’re at it, Russia and India may not be so significant either. Brazil has become an important player in global governance for neither the size of its economy, even though it is the sixth largest, nor its conventional power resources. Its rise is almost solely because of the quality of the country’s diplomats, who were able to consistently frame the perceptions of their counterparts in multiple arenas in a way that brings Brazil to the high table of global politics. On economic grounds, Brazil imports and exports a relatively small fraction of its product and does not export anything that is particularly essential for any other country’s economic growth prospects, not even minerals and soybeans to China. According to a report by the World Trade Organization, the leading merchandise exporters in 2010 were China ($1.58 trillion, or 10 percent of world exports), the United States ($1.28 trillion, or 8 percent), Germany ($1.27 trillion, or 8 percent), Japan ($770 billion, or 5 percent) and the Netherlands ($572 billion, 3.8 percent). Brazil ($202 billion, or 1.3 percent of world exports) ranked 22nd in that list, behind Mexico and Australia. The United States ($1.97 trillion, or 13 percent of world imports) is also the top merchandise importer, followed by China ($1.40 trillion, or 9 percent), Germany ($1.07 trillion, or 7 percent), Japan ($693 billion, or 4.5 percent) and France ($606 billion, or 4 percent). Brazil ($191 billion, or 1.2 percent of world imports) ranks only 20th. 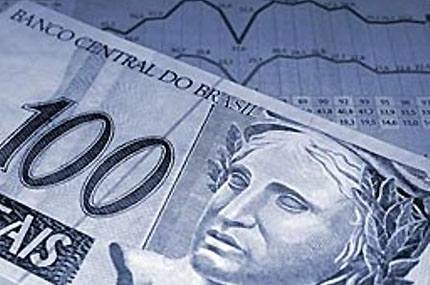 As the data indicates, the alleged dynamism of Brazil’s economy isn’t convincing. Yes, some firms — like Petrobras, Vale, Embraer, JBS Beef and Ambev — are deemed to be global competitors in their fields. And it’s true that in some particular subindustries — regional jets, beef, poultry, orange juice, sugar, coffee, soybeans, iron ore, copper and ethanol as fuel — exports from the bulk of Brazilian producers are at the top in their ranks. The irony is that those traditional exports are neither favored by government expenditures or infrastructure regulations, nor induced to increase value added, given the country’s chaotic tax regime. Many Brazilians seem convinced that the country should move out of traditional exports and into more sophisticated goods. Unfortunately, the prevailing mind-set in the last 70 years — with a short interval in the mid-1990s — tells the government to pick winners and nurse them with a recipe of trade protection, tax breaks and loads of subsidized credit. Anyone in tune with contemporary theories of economic growth is able to tell what to expect as a result of state involvement in business affairs: a general lack of innovation and entrepreneurship, growing demands from business to a continuous renewing of the baby formula and cronyism. The fact that growth will tend to be irregular and normally low means that a halt in Brazil’s level of growth will not be too hurtful for the world economy. When it comes to the influence of the BRIC nations on the global economy, it will all depend on China – and there is no B in China. Esse post foi publicado em Brasil, China e marcado BRIC, economia brasileira por Joanisval. Guardar link permanente.